•Improving worker morale, resulting in lower turnover. Enrolling in the Surfside Corporate Wellness Program will benefit your staff and your business. Our wellness professionals will work with members of your team to set goals for the program that will satisfy the needs and interests of your organization. 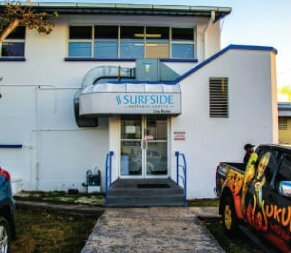 As part of the Corporate Wellness Program, Surfside Wellness Centre organizes three 6 Week Team Corporate Challenges per year. Wellness challenges have been proven effective to make individuals aware of the small steps that can easily be made to improve overall well-being. The competition element serves to engage participants and encourage healthy practices such as regular exercise, thus making them happier, healthier, and more energetic at work. The positive climate of fun and camaraderie yielded from participating in these challenges will help staff members adopt or maintain a healthy way of living. The net result will be an engaged and productive workforce that performs at a higher level – everybody wins! Corporate Fat Loss Challenge (February- March): Here’s an opportunity to turn losing weight (fat) into a fun team activity for you and your co-workers at Surfside Wellness Centre. Crop Over Challenge (June-July): Here’s an opportunity to turn getting in Shape for Crop Over into a fun team activity for you and your co-workers at Surfside Wellness Centre. Corporate Fitness Challenge (October-November): Here’s an opportunity for Companies to promote healthier lifestyle behaviours among their employees. For more information or to book a complimentary consultation to discuss workplace wellness in your organization, please contact georgina@surfsidwellness.com or 243-8348.